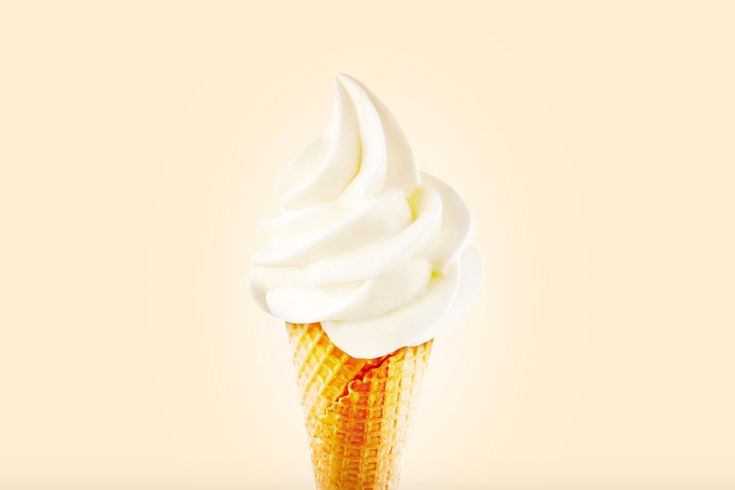 What flavor of frozen custard is your favorite? Anticipate being punked by your prank-minded friends on April Fools Day once too often this April 1? You can now also plan to soothe your wounded ego with some free ice cream, courtesy of the trio of Trolley Car restaurants. Trolley Car Diner, Trolley Car Café and Trolley Car Station will be offering complimentary Richman's Ice Cream on April 1. The Ice Cream Shoppe next to the Trolley Car Diner will open for its 15th season that Monday, and will hand out free small cones or cups of Richman's Ice Cream between 3 to 9 p.m. at 7619 Germantown Avenue in Mount Airy. The Trolley Car Diner will also give away complimentary house-made water ice. The same ice cream deal will be made at Trolley Car Café, located at 3269 S Ferry Road in East Falls, from 7 a.m. to 3 p.m., and Trolley Car Station, at 3940 Baltimore Avenue in University City, between 3 and 9 p.m.
RELATED: Tastykakes and Bassetts Ice Cream partner up for ice cream inspired donuts | Healthy Recipe: Avocado-Banana "Ice Cream"
"The Ice Cream Shoppe offers two hallmarks of our brand, which are both perfect for the early days of spring," said restaurants owner Ken Weinstein. "Our customers love that we celebrate the seasonal launch of the Ice Cream Shoppe by offering complimentary frozen treats. We're looking forward to a big turnout at each of our locations on ‘Opening Day.’” Richman's produces some of the finest ice cream in the region by using the freshest locally-sourced ingredients. We're are honored to introduce their products this spring." Representatives from Richman's Ice Cream will also be at Trolley Car Diner on April 1 to serve their product and answer questions about the company’s 125-year history.